By Stephanie Fairall, VAFF Executive Member. Andrea Segre’s Shun Li and the Poet is an Italian film that is a reminder of the importance of friendship, and how its significance can only truly be seen by those in it. In this story, Shun Li, a young Chinese woman, has come to Italy in search of a brighter future. Working low-end jobs, Shun Li relies on her Chinese boss for more than just her employment – he is also the only chance for her young son to come and join her in Italy. Instantly, we are swept up into Shun Li’s life as she pays her dues with the sole goal of being with her son. As she settles into work at a seaside café on the damp city-island of Chioggia in the Veneto region of northern Italy, we see Shun Li immerse herself in the culture and make the best of her situation, all with her son in mind. The story is largely set in the café, a hotspot for the local fishermen, and it is here that Shun Li meets a lonely Yugoslavian fisherman, Bepi. Having come to Italy years ago, Bepi is a widower who spends his days fishing and sitting in the café sipping espressos and red wine. As the two characters are introduced to one another a spark develops between them, eventually igniting a friendship that brings warmth to their dampened souls. Bepi is somewhat of a poet, deemed ‘il poeta’ (the poet) by his pals, while Shun Li frequently pays tribute to Qu Yuan, China’s most celebrated poet. It is their shared love of poetry that brings them closer together and adds a depth to their friendship that others do not understand. Even though their friendship is strictly plutonic, the Chioggian locals and Shun Li’s boss see the relationship as unfit due to their cultural differences. 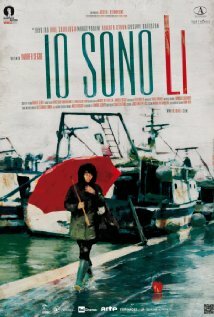 Unable to risk losing her son’s chances of joining her in Italy, Shun Li is forced to push Bepi away, leaving the lonely fisherman with nothing but memories. This beautifully shot film highlights the gravity of friendship as Andrea Segre’s characters captivate us with their unlikely harmony. And, despite background or circumstance, Shun Li and Bepi’s story is a reminder that love comes in many different forms – friendship often being the most long-lasting of all.